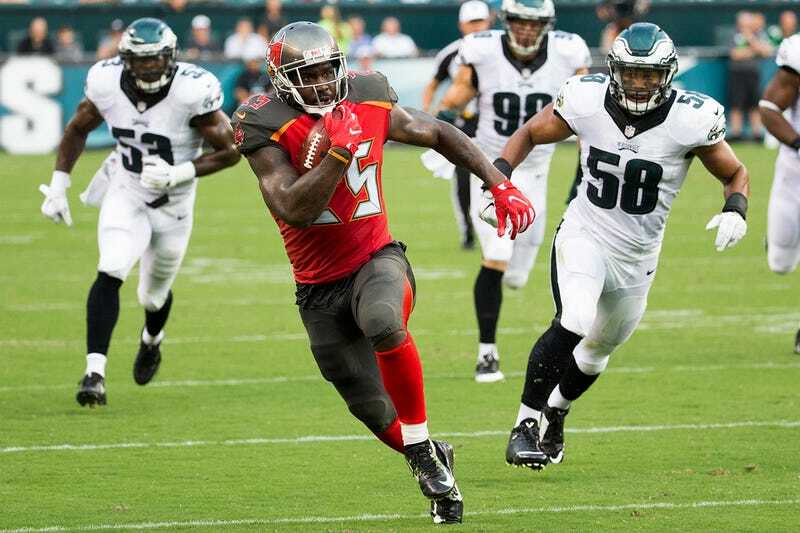 While diving toward the goal line in 2013, then-Buccaneers running back Mike James fractured his ankle. It was a gruesome injury that ended his season. Initially prescribed opioid painkillers, James told CNN he found a drug that worked better for him: cannabis. Though James said he didn’t use marijuana to manage his pain again until last year, he tested positive for the drug in August. When test results came back in October—James spent last season with the Lions on injured reserve—he applied for a medical use exemption for marijuana, becoming the first NFL player to do so. He said he became dependent on the opioid painkillers prescribed to him by team doctors, and found marijuana handled his problems better than other drugs. Last week, the NFL denied it. This is not surprising, regardless of James’s circumstances. In 2016, the NFL suspended then-Buffalo Bills offensive tackle Seantrel Henderson 10 games for testing positive for marijuana. He said he used the weed to treat his Crohn’s disease. Weed has long been known as a painkiller. Of the 29 states that currently allow medical marijuana, 26 list unspecified severe or chronic pain as a qualifying condition (albeit some with restrictions that other pain treatments proved unsuccessful). There is not a great amount of research on using marijuana to treat inflammatory bowel diseases like Crohn’s, but many patients do self-medicate with marijuana. It did not matter that Henderson used the weed to recover from having two and a half feet of his intestines removed, or that James said pot treated his pain better than opiates did without feeling dependent on the drug. The reason the NFL doesn’t want to approve cannabis for medical use has nothing to do with its illegality under federal law. The posturing is all part of a bargaining chip. Pro Football Talk reported last year that NFL owners don’t even want recreational marijuana banned anymore—they’re just holding out so the players make some concessions in exchange for the end of its prohibition. It’s particularly cruel for the owners to not allow a substance that would ease the players’ pain from simply doing their jobs and lead to fewer suspensions. Even if it’s for leverage in the future, it seems like a terribly stupid way to treat the current players.